I came across an interview with director Lexi Alexander (it was the first question asked – around the 0:25 mark in the link) where they discussed how some movies seem to have anticlimactic endings. Since then I’ve been having fun going through the plots and scenes of some movies in my head to flesh out the reason why this happens. The simple reason could be that Hero and Villain have opposite strengths and weaknesses. And typically in the final battle the villain probably has already lost, yet the scene tries to pretend that it is an intense and exciting fight. …Except not really. Because the Boss, being the boss, is usually older, less athletic, is shown throughout the story sitting in some luxurious mansion/lair, maybe with exotic pets, eating great food and yelling at servants. So the Boss is probably not a good fighter. The result is that the *CLIMATIC FINAL BATTLE* becomes somewhat anti-climatic. This is the thing that usually bothers me when it comes to the climax of most action movies. Even when most of the movie is action packed, tense and exciting, but all that fizzles out in the climatic battle scene. 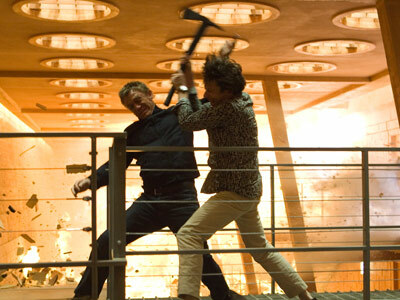 Two movies involving Michael Nyqvist — In Mission Impossible: Ghost Protocol, super-badass agent Ethan Hunt had to fight a nuclear physicist. Then in John Wick, Nyqvist is a Russian mob boss who is seen sitting at a desk sipping whiskey the entire movie. Surely a dangerous opponent to John Wick who could take down 12 armed thugs that broke into his house. Not to mention the nightclub. Sha Po Lang (SPL) — Now this could be argued, since the villain here is Sammo Hung and is a great martial arts performer in real life. But the problem is his character portrayed in the context of this movie. He is again the mob boss and is shown smoking cigars and living luxuriously for the majority of the movie. I thought the most intimidating villain in the movie was the knife-wielding (Wakizashi?) hitman played by Wu Jing. The fight against Wu Jing was much more tense because he was shown skillfully murdering people throughout the story. I believe in most of these examples above share a common root cause. Namely that hero and villain usually have opposite strengths and weaknesses. In particular, it is the question of tactics vs strategy. The hero usually have tactical strength but is in a strategic disadvantage, while the villain has precisely the opposite. What are the hero’s typical strengths? Weapons, marksmanship, gadgetry and martial arts. These are usually tactical in nature. The hero’s weakness and challenges are typically tied to the main plot of the story. He starts at some strategic disadvantage instigated by the evil plans of the villain. Or that the villain has hostages, holding some leverage over the hero. I think we always forget that the hero’s tools and skills are only used to overcome moment-to-moment obstacles in the course of the story, and for the most part not effective against the villain’s overall scheme. Otherwise we’d have no story! The central conflict arises because the villain has some strategic advantage over a situation. In Ghost Protocol the villain is executing a brilliant master-plan to steal and launch nuclear missiles. In Bourne Identity and Quantum of Solace the enemy has plenty of manpower and resources to use against the hero. Thus the common trait required by villains are usually resources and intelligence (aside: we could add this to the many reasons why villains are always scientists). In the confrontation of hero vs villain, the hero has tactical advantage! Almost all the anti-climatic battles of the examples above puts the hero in a tactical advantage over the villain. The tension is no longer there, and we could see the filmmakers try to add in other elements to induce tension. (Giving Greene a fire axe, then having building collapse in QoS. Or in Enter the Dragon, the final boss is given a four-bladed prosthetic to fight an unbeatable Bruce Lee). Naturally, at this stage we might ask which movies avoided these problems to give really great endings, and how? If the hero is a young athlete proficient in weapons and martial arts, let’s not have a drawn out scene where he/she fights some fat, old mob boss and pretend that it is an intense battle. Let them meet each other, and have the mob boss knows he’s going to lose so he’s not going to bother fight his way out of his predicament. 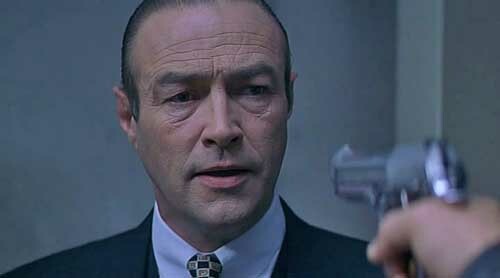 If the boss is an evil businessman, he would talk and manipulate his way out of the situation. This way it is believable and we stay consistent to the characters. Going back to Lexi Alexander, she stated clearly in the interview that knew this when making Punisher: War Zone. The Punisher has a great epic fight scene with the villain LBJ, but after defeating him there is one more – LBJ’s brother Jigsaw. Now Jigsaw knows that the Punisher is an unbeatable killing machine, so he uses his own strengths instead, a handgun, ruthlessness and manipulation. He has two hostages and forces the Punisher to choose which one lives. Thus the climax was not an action set-piece that the Punisher easily punches his way through; but rather a tense puzzle (…or…Jigsaw puzzle) which he is forced to solve. The final fight scene in Flashpoint was one of my all-time favourites. In this movie the villains are simply three brothers. They are essentially thugs and does not hide behind a wall of money and henchmen. So the fact that two of the brothers are very capable fighters is quite convincing. Furthermore the story really drives home the hatred between the hero and the villain, giving the fight some emotional weight as well. He does look all slimy and sleazy and villainy, but obviously poses no physical threat against Jackie Chan. So he sends his top two guys to fight Jackie Chan on the rooftop and recover the disc. During the fight, the disc falls to the ground below. Jackie defeats the two guys and tops it off with an epic stunt where he slides all the way down the Willemswerf building to the ground, recovering the disc. Having the disc, Jackie succeeds. Bad guy goes to jail. Anyone who has attempted to write anything knows that one has very limited ways to resolve a story. Because everything that happened throughout a story funnels you down to a path that is narrowest at the end. It’s already very hard when it comes to writing novels. I can’t imagine how much harder it is for movies that add all the logistical or practical problems on top of all that.